The energy market is one of today´s most fast paced, decisive and profitable industries and crucial to both the global economy, the environment and our future society as a whole. Climate and economic changes, public opinion, technological progress and regulation shape unforeseen challenges and opportunities. This situation calls for new solutions to be delivered by highly skilled and appropriately trained experts with an all-embracing overview, an international outlook and the will to create a true impact. Due to its economic, entrepreneurial and industrial strength as well as its successful and progressive energy policies, the —Energiewende—, Germany stands out as a front runner in the global energy transition. In order to promote the dissemination of knowledge and to facilitate and promote progress in the international energy sector, Technische Universität Berlin has created this unique MBA program combining academic excellence with industry expertise. 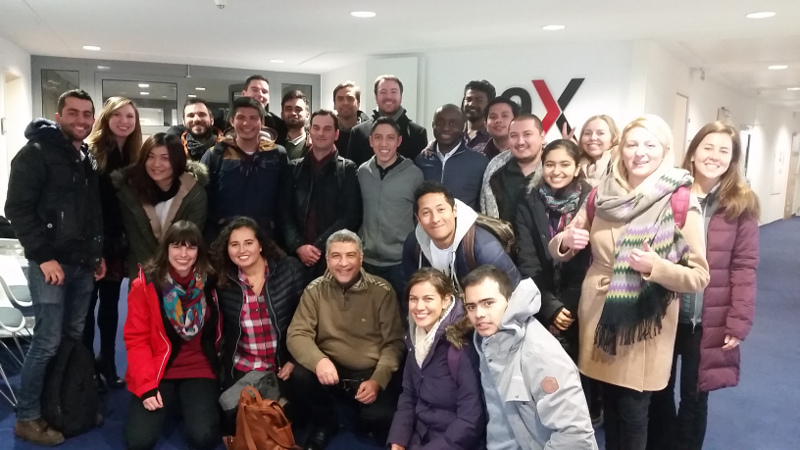 Our full-time master program “Energy Management” at TU-Campus EUREF in Berlin enhances students´ career prospects and enables them to reach the next level of leadership. Successful graduates will have the ability to lead and manage others and to make strategic, problem-solving and sustainable managerial decisions in the field of energy and beyond. We are looking forward to welcoming you to this exciting program. The master program is taught over a period of three semesters. 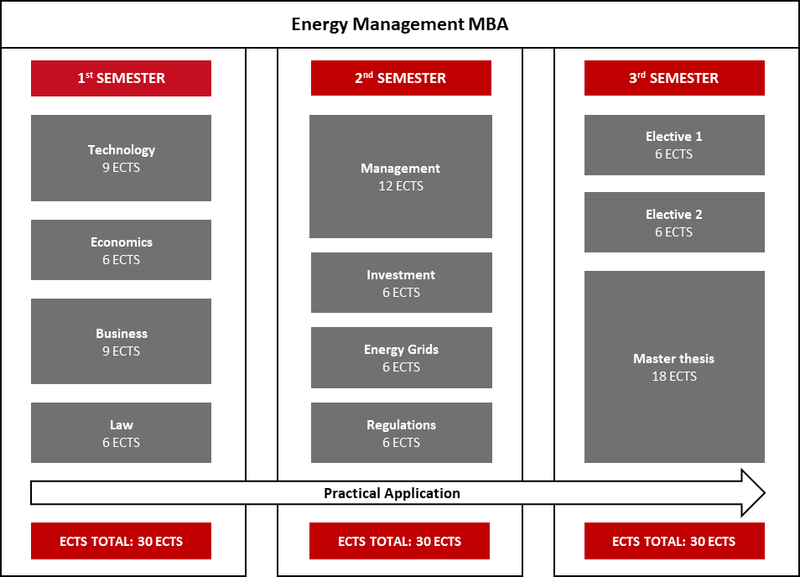 The first semester covers the technical, economic, entrepreneurial and legal foundations for management decisions in the energy sector; the second semester deepens this view and looks at business practises, primarily of grid-based utilities, and investment; the third semester broadens the view while simultaneously focusing on practise according to student’s individual interests. All semesters include lectures, tutorials, seminars as well as company visits/presentations, online materials related to practice and extracurricular activities. The master thesis due in the third semester concludes the program. This module deepens student’s knowledge of energy technologies and systems in the framework of today’s changing world. Prof. Dr.-Ing. 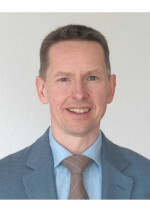 Joachim Müller-Kirchenbauer chairs the Department for the Management of Energy and Resources at the Faculty for Technology and Management, and acts as dean for the English language advanced master programs on TU’s Campus EUREF. 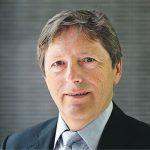 After graduating at TU Berlin and the Research Centre Jülich he worked as consultant for German and European regulators and ministries, among which the European Commission, became Deputy Director Energy Regulation at the German Federal Network Agency, then Professor at Technische Universität Clausthal where he created and established the Chair for Gas Supply at the Institute for Petroleum Engineering, before returning to his alma mater TU Berlin as full-time professor. This module presents the economic basics for the understanding of energy markets and their regulation, the framework for operational energy management. 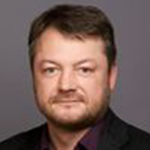 Prof. Dr. Georg Erdmann heads the Department Energy Systems at TU Berlin. He started his academic career at the Center for Economic Research, Swiss Federal Institute of Technology, Zürich. Trained in Mathematics and Economics, he received his PhD in Economics at the University of Münster (Germany). 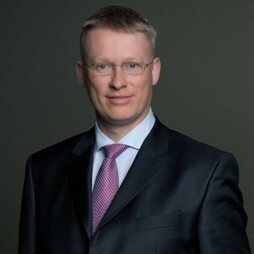 Among many other mandates he chairs the German affiliate of the International Association for Energy Economics (IAEE) and is member of the independent expert Commission “Energy of the Future” who assesses the progress and challenges of the German /Energiewende/ on behalf of the German federal government. He is author of several books and scientific articles. His latest book publication, the energy economics textbook “Energy Economics”, co-authored with Peter Zweifel and Aaron Praktiknjo, was published in 2017. This module presents the foundations of strategic management and discusses basic tools and applications in the context of the energy industry. 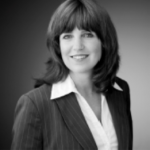 Prof. Dr. Dodo zu Knyphausen-Aufseß holds the chair of Strategic Leadership and Global Management at Technische Universität Berlin, Germany. 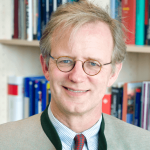 Before joining TU Berlin, he served as a chair professor at the universities of Jena and Bamberg and as an endowment professor at the University of Heidelberg. Dodo received his PhD and his post-PhD qualification from the University of Munich, served as a dean of the Faculty of Economics and Management at TU Berlin, as the vice president and president of the German Academic Association of Business Research (VHB) and as a co-program chair of the Strategic Management Society’s annual conference in Berlin. His and his chair’s research focuses on stakeholder influence on strategic decisions, mergers & acquisitions, diversification, top management teams and, most recently, on the strategic management of cities and on sustainability issues. This module presents the legal framework of today’s energy markets on the global scale, the EU plane and Germany. Prof. Dr. Dr. Dres. h.c. Franz Jürgen Säcker is Professor em. for European and International Business, Competition and Regulatory Law of Freie Unversität Berlin and head of the Institute for Regualtory Law Berlin (enreg). He is one of the leading experts on energy law and Academic Director of TU’s master program “European and Interernational Energy Law”. He holds a honorary doctorate title of the Chinese Culture University, Taipeh, Taiwan, and a honorary doctorate title from the Russian Academy of Science, Institute of State and Law in Moscow, Russia. He currently holds a Guest Professorship of the College of Comparative Law, China University of Political Science and Law, Beijing, China. 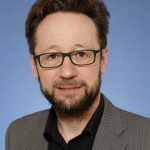 He is the editor and author of leading publications in the field of energy law and editor and co-author of the large-scale academic work Berlin Commentary on Energy Law (“Berliner Kommentar zum Energierecht”), which at present encompasses 4 volumes and more than 12,000 pages. This module deals with the technical and managerial challenges of grid management in a changing energy environment, with a focus on transformation processes between different forms and sources of energy and the novel developments in demand response, IT, and metering. Prof. Dr.-Ing. 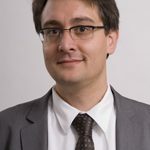 Kai Strunz is holder of the chair of Sustainable Electric Networks and Sources of Energy (SENSE) at TU Berlin. Previously, he received his PhD in engineering from Saarland University, pursued research at Brunel University in London and subsequently worked at the Division Recherche et Développement of Electricité de France (EDF) in the Paris area, from where he moved on to serve as tenure-track Assistant Professor of Electrical Engineering at the University of Washington in Seattle. He was rewarded the IEEE PES Prize Paper Award, the IEEE Journal of Emerging and Selected Topics in Power Electronics First Prize Paper Award,the National Science Foundation (NSF) CAREER Award of the USA and the Outstanding Teaching Award of the Department of Electrical Engineering at the University of Washington. He is currently Chairman of the IEEE PES (Power & Energy Society) Subcommittee on Distributed Energy Resources and editor of the open access IET Engineering Journal. This module looks at energy infrastructure from a decision maker point of view. Grids, storage facilities and power plants are large-scale long-term investments of national, if not international, scope and importance. How are such projects managed, how can they be insured, how can their risk be assessed, etc. Prof. Dr. Christian von Hirschhausen is full time Professor for Economic Policy and Infrastructure Policy at TU Berlin, Research Director of the German Institute for Economic Research (DIW Berlin), Research Associate of MIT Center for Environmental and Energy Research, and Associate Researcher of the Electricity Policy Research Group, University of Cambridge. He received his PhD at hte Ecole des Mines de Paris and holds an M.A. in Economics from the University of Colorado at Boulder (U.S). Prior to TU, he served as professor at the University of Dresden. He is a leading expert on Applied Industrial Economics, Infrastructure and Network Economics, Environmental and Public Economics, Public Sector Management and European Integration Policy. This module deals with the technical and managerial challenges of grid management in a changing energy environment, looks at transformation processes between different forms and sources of energy and considers novel technological developments. In this module, students look at physical projects and products such as buildings, plants, city planning, etc. and apply the knowledge gained in prior modules in practise. In this module students look at innovations, team building, management processes, administrative, financial or theoretical issues in a specific practical context. Prof. Dr. Jan Kratzer holds the Chair of Entrepreneurship and Innovation Management and is Managing Director of Center for Entrepreneurship at TU. In the School for Business and Economy at Berlin Institute of Technology he holds the function as Vice Dean for Research and Internationalization. He is editor of “Creativity and Innovation Management” (CIM) and in the editorial board of “Journal of Product Innovation Management”. His research focuses on factors that drive entrepreneurial activities towards success among others research on networks of entrepreneurs, social networks and creativity, entrepreneurial education, social entrepreneurship, online social networks and entrepreneurial opportunities. He has published extensively on these subjects. Individual topics, individual supervisors / evaluators (members of faculty). Lecturers are full time professors of TU Berlin, expert professors from cooperating international universities, senior industry managers with a strong academic background, or senior executive staff of regulatory bodies. Tutorials are held by research associates and guest lecturers. Frequent company visitations and excursions to major companies and innovative startups complement. 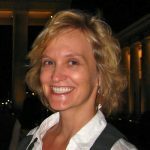 Bettina Brockmann is a lecturer in the Department of Communication Studies at San José State University, California, US, a communication coach at Stanford’s Graduate School of Business, and a visiting lecturer in the MBA Energy Management program. 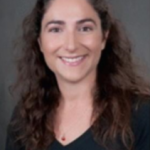 Prof. Dr. Gioia Falcone is full time Professor at University of Glasgow, GB, Rankine Chair of Energy Engineering (Systems Power & Energy). Dr. Oliver Helge Franz is Regulatory Manager at RWE Deutschland, one of Europe’s largest power generator, energy supplier and trader. 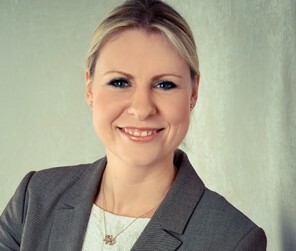 Dr. Annegret Groebel heads the department for International Relations/Postal Regulation at Bundesnetzagentur, Germany’s Federal Network Agency, the regulatory body for electricity, gas, telecommunications, post and railways. Dr. Frank Peter Hansen is Manager for Regulatory Affairs at TenneT, the Dutch-German transmission system operator and energy company. 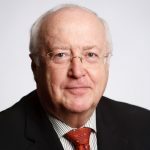 Prof. Dr. Klaus Heine holds the Chair for Law and Economics at the Erasmus School of Law, Rotterdam; this is a Jean Monnet Chair of Economic Analysis of European Law. His research areas are European economic policy (especially state aid control and federalism), law and economics, and management, and he is one of the few scholars worldwide to work on the intersection of these three research domains. 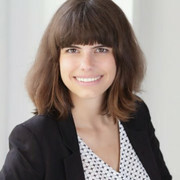 Dr. Bodo J. Herrmann is Head of Section 802, which is responsible for the Federal Sectoral Planning as well as Planning Approval and part of the Grid Expansion Department at the Federal Network Agency in Bonn. In his previous position at the Federal Network Agency he acted as Head of Section competent for Incentive Regulation (2007 to 2013). 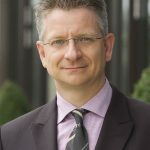 Previously he worked on basic energy industry questions at the German Association of Municipal Enterprises (VKU), acting as Director of the Brussels office and the unit for European affairs in Cologne, prior to which he was Managing Director of the Institute for Energy Law at the University of Cologne. 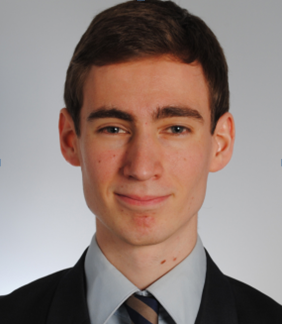 Peter Hohaus is Senior Policy Advisor at Uniper SE. 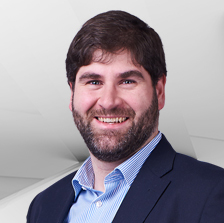 Since 2001 he is working in the energy sector in different functions with an expertise in EU, national and international energy law and energy policy. Uniper is an international energy company with 13,000 employees and which offers a broad range of services with a focus on power generation and global commodity trading. 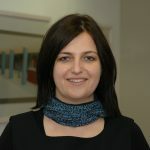 Dr. Sabine König is General Project Manager and project developer in the area of thermal developments at STEAG GmbH, a European energy company covering the entire value chain from planning, developing, constructing, operating and marketing high-efficiency power plants and their by-products. In 2017, STEAG group has an installed capacity of approximately 10,150 MW from both fossil and renewable sources. 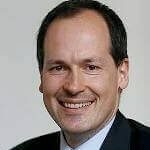 Dr. Armin Kraft is managing director of EEB ENERKO, an energy consultancy and part of the ENRKO Group, offering services from energy market analyses over process optimisation and grid management to accountancy and legal advice. As a partner of energy utilities companies in the public and private sector, of government agencies and institutions, ENERKO develops innovative solutions for energy supply systems, for urban development and protection of the environment. 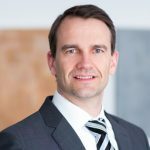 Dr. Florian Leuthold is board member of vortex energy Holding AG in Germany and former executive vice president of vortex energy Polska Sp. 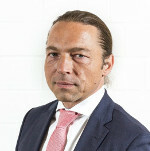 z o.o, where he is responsible for the technical and commercial management of wind farms, project realisation in Germany, and the groups’ risk management. Prior to joining vortex energy, he worked as portfolio manager for the Austrian TSO and was research associate at TU Dresden, where he graduated in Engineering and received a PhD in Economics. Leuthold acts as reviewer for several academic journals and lectures both at TU Dresden and TU Berlin. Dr. Christian Nabe is associate director of ECOFYS, one of the leading European energy and climate consultancies, a former visiting TU professor and an expert for the interaction of renewable energy systems with power markets and the power generation portfolio as well as new challenges for the regulation of markets and electricity network operators. Prof. Dr.-Ing. Aaron Praktiknjo is Assistant Professor (Juniorprof.) of Energy Resource and Innovation Economics at RWTH Aachen University since 2015. 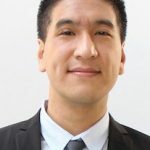 Before joining RWTH Aachen, he was a group leader and lecturer at the Institute for Energy Engineering, TU Berlin, and served as a consultant for national and international agencies and companies. His energy economics textbook “Energy Economics”, co-authored with Georg Erdmann and Peter Zweifel, was published in 2017. 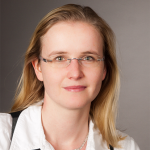 Prof. Dr. Lydia Scholz is full time Professor for Economic and Business Law at Hochschule Bremen, City University of Applied Sciences. 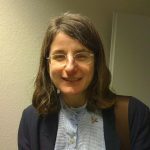 She has previously lectured at University of Warwick, UK, among other positions. 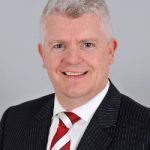 Dr. Hans-Günter Schwarz has 20 years of professional experience, of with 10 years in the energy industry. 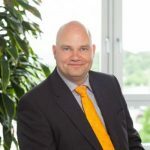 In his current position as head of business development commercial asset management at RWE Supply & Trading GmbH, he is responsible for the development of small scale generator and battery activities. Previously as head of electricity market analysis he was responsible for electricity market modelling and investigations on power markets. 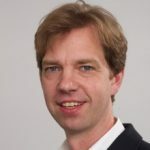 He holds a doctoral degree in Political Economy and a postdoctoral qualification (‘Habilitation’) in Economics from University Erlangen-Nuremberg. He has published ca. 20 papers in international and national journals, more than 10 conference and anthology contributions and three monographs. 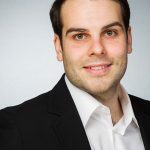 Dr. Maximilian Wachter is Strategic Assistant to the CEO at Phoenix group, Europe’s leading pharmacy wholesaler, retailer and service provider present in 26 countries. 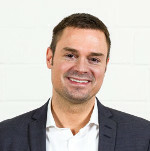 Prior to his PhD from WHU Otto Beisheim School of Management he graduated in Economics at Heidelberg University and in Accounting and Finance at St. Gallen University. 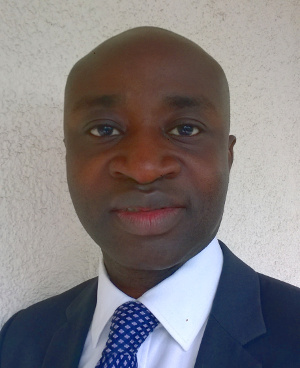 His current scientific focus is Corporate Governance and Strategic Corporate Finance. The program has been developed in close cooperation with leading enterprises, consultancies and regulatory authorities in the energy sector. The study location is the exciting EUREF-Campus where many industry leaders set up office and think tanks. Excursions to industrial outlets and companies further strengthen the link between theory and practise. We are part of Technische Universität (TU) Berlin, which is one of Germany’s largest universities with currently more than 30,000 students. TU Berlin offers a wide range of support and extracurricular activities. The program’s interdisciplinary content, which covers the political, economic, technical and legal aspects of the energy markets, gives students and future employees a distinctive profile and qualifies them for leading positions in the energy sector. Learning and studying in small groups of up to 30 students allows for individual and excellent learning conditions. Subjects for master theses are top-notch research and often based on industry or government proposals. Skills and knowledge transferred in our course are in high demand in all energy related industries, so carreer opportunities for graduates are exceptional. Part of sustainability is quality management. Quality should not be left to chance, but be the result of a continuous improvement process. The TU Berlin changed its quality focus from the quality assurance of individual study programs to the evaluation of the university as a system. The TU Berlin has designed its quality assurance procedures in such a way that the participating actors can develop themselves in a responsible manner and in dialogue with each other. System accreditation leads to the accreditation of all study programs offered by a university. “The subject of system accreditation is the internal quality assurance system of a university in the field of study and teaching. The structures and processes relevant for teaching and studies are examined to ensure that they achieve the achievement of the qualification objectives and the high quality of the courses, whereby the requirements of the Conference of Ministers of Education (KMK) are the European Standards and Guidelines for Quality Assurance in Higher Education (ESG). and the criteria of the Accreditation Council apply. Currently the final phase of the accreditation process has started and receiving the label of the system accreditation by the end of 2019 is possible. Please visit the webpage Central Evaluation and Accreditation Agency ZEvA for more information. From October 2017, the tuition fee for the master program is 6,000 euro per semester which includes the regular TU administration fees. This covers all courses and materials plus public transportation service in the city of Berlin. Schneider Electric is offering scholarships for this program. The application deadline is April 30th of each year for a start in October of the same year. You can send us your application documents from February through April 2019 for the next academic year 2019/2020 starting in October 2019. The number of students is limited to 30 per year. An admission committee decides about the selection based on a ranking taking into account overall qualification, work experience, language skills, results of former studies and the study profile.